Voice-over-IP (VoIP) telephony offers the potential for remarkable cost savings, efficiency, and mobility gains for businesses of all sizes. Due to a wide array of vendors and the growing popularity of this technology, prospective VoIP clients may feel nervous about vendor selection and adoption. As VoIP expert Carrie Higbie points out, "The tough decision isn't whether to use IP telephony or not – it's which vendor to choose." Companies who fall prey to certain pitfalls can experience dissatisfaction with their vendor or technology. If you go the hosted route, your service and setup will be managed by a vendor. If you host your VoIP in-house, you will be responsible for purchasing, implementing, and maintaining your VoIP technology. You have experienced VoIP or business voice communications experts on staff. You anticipate minimal growth or changes in staffing over time. You can perform your own bandwidth assessment to increase your data service appropriately. You feel confident selecting VoIP and voice handset technologies. You feel overwhelmed by technology and hardware selection. You anticipate significant growth in your voice needs. You need help optimizing your data connection to support VoIP. You need support to perform a data traffic assessment and prioritization. You have a high percentage of work-from-home staff or plan to increase your mobile work policies. Poor sound quality on voice calls. Even the best VoIP vendor can't provide appropriate quality of service (QoS) if you have less bandwidth than the minimum needed to support your network traffic needs. If you select a unified business communications vendor, you can secure sufficient bandwidth with an upgrade to fiber optic Internet connectivity and save money by bundling services. Few companies can afford to operate without phone or Internet connectivity. 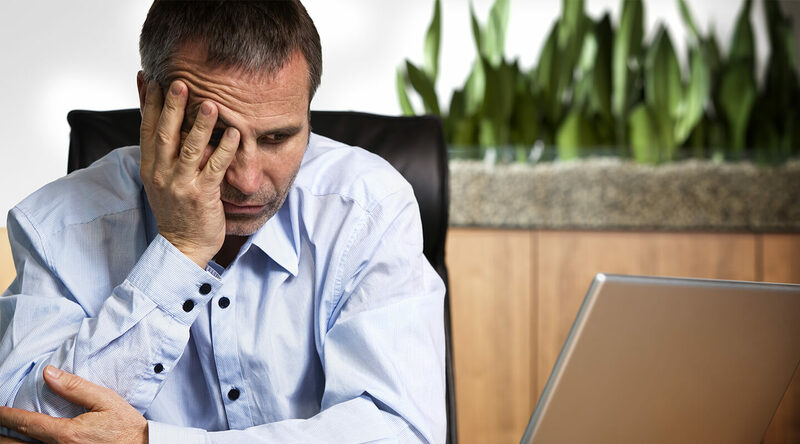 Poor uptime or availability can carry immense hidden costs in terms of worker productivity, revenue, and public image. Companies who fail to hire a VoIP vendor who offers business continuity planning and service level agreements for availability can pay the price post-implementation. Your vendor should consider business continuity a cornerstone of their client services. Optimally, your VoIP service will account for immediate switchover to employee mobile devices in case your primary phone lines go down for any reason. Many VoIP vendors offer features which can be added to basic business voice service packages. While adding corresponding services such as web conferencing will raise your monthly phone service costs, it will ultimately lower the total costs you pay for business communications technology. Data Integration, such as voicemail-to-email transcription. Automated Call Distribution for call centers or high-volume customer service environments. Interactive Voice Recognition for self-serve customer service and call routing. Remote Management for adding or removing phone lines from anywhere in the world. Chat for internal and external communications. Video chat and teleconferencing software. VoIP information security is closely connected to Internet security, but they're not one and the same. The history of phone call hacking, or phreaking, for thrills or criminal purposes originated in the 1960s or earlier. Unfortunately, criminal and mischievous attacks on voice communications can also be directed at VoIP, if organizations do not pay appropriate attention to security during the vendor selection and implementation stages. Spamming over Internet Telephony (SPIT). Vishing (phishing via VoIP telephony). Your company needs to protect it's Internet connection through firewalls to lend a first level of protection over your business voice communications. An upgrade to fiber Internet connectivity can further increase your security. Finally, selecting the right VoIP vendor can also offer additional safeguards, through the use of technologies that make it more difficult for a "phreaking" or hacking attempt to intercept your voice calls. Prior to signing a vendor agreement or taking steps towards self-hosted VoIP, it's critical to evaluate the estimated total cost of ownership (TCO) as well as the vendor's quality track record. Quality of service (QoS) ensures voice data transmissions receive priority over non-voice utilization of bandwidth. QoS allows businesses to maintain a consistently high quality of voice communications. Setting traffic priorities across the network. The measures required to ensure QoS at a major enterprise can look vastly different than appropriate QoS at a small organization. Some companies may require an upgrade to fiber or dual broadband connections in order to ensure adequate sound quality. If QoS is an overwhelming concept to your VoIP selection and implementation team, hire a business communications vendor with appropriate industry experience to guide you through this process. There is an abundance of VoIP vendors, who can range significantly in price and quality. A vendor for hosted voice services should offer extensive experience and a strong track record of customer satisfaction. No organization wants to be a VoIP vendor's first customer. It's also important to screen for support. While the majority of your voice calls will take place between the hours of 9 a.m. and 5 p.m., business communications are 24/7/365. You must ensure your vendor will be available after hours to assist in troubleshooting or resolution in case of emergency. 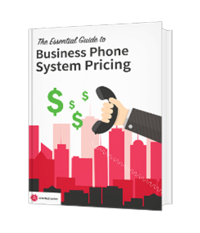 For more insight on choosing the right VoIP handsets, we recommend How Much Does a Phone System Cost for Small Business? If your business is using an Internet router that was designed for residential use, it may not be sufficient for an upgrade to VoIP telephony. Many commercial-grade routers are optimized for VoIP. Evaluating your router for suitability prior to upgrade can ensure you don't experience voice quality issues. For businesses with a high volume of inbound customer service calls, your interactive voice recognition system (IVR) is the "face" of your company. Many VoIP vendors allow extensive customization options for creating a positive IVR customer experience. Poorly optimized IVR can lead to intense customer frustration, especially when callers find themselves navigating a long menu while just wanting to "talk to a real person." The primary goal of IVR setup should be to minimize misrouted calls while keeping customer satisfaction as high as possible. Remember, your IVR is often not your customer's first attempt at reaching resolution. They may be calling after checking your website or sending an email. By making your IVR as customer friendly as possible, you can improve your client's experience. While VoIP implementation is often surprisingly simple for first-time IP voice users, there are certain pitfalls to avoid. By hiring an experienced VoIP vendor, you can benefit from decades of industry-specific expertise on add-on feature selection, handset shopping, and network traffic analysis. Most businesses rarely shop for a phone system, which is why expert assistance can be priceless during a voice upgrade process. For more information on hosted voice services for businesses or the benefits of bundling voice, data, and fiber,contact an expert representative of Atlantech Online today.